In my “WEB 2.0 for Students” class, we cover tools that help people collaborate in this fast moving world. Having a set of tools that allow you to seamlessly share information with others so that they can add their input or provide you new information to react to is critical. 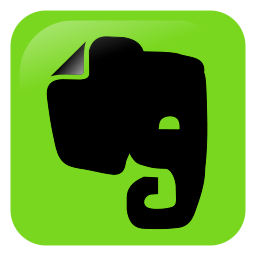 Evernote is a tool I cover in the class as an example of a well made tool that helps students, and anyone for that matter, organize and connect with others. It is something you should look into as well. You use Evernote to capture and remember a lot of things that are relevant to you. Some of what you have in your Evernote account is also relevant to your significant other. With Valentine’s Day right around the corner, we came up with eight tips for using Evernote to inspire one another, communicate better and get things done together. For recipes: A couple that cooks together…We’ve heard from a number of users that sharing recipes makes planning weeknight dinners much easier. Share clipped or scanned recipes, as well as tasty memories you captured using Evernote Food. For sharing information about your kids: If you’re a parent, you have to retain a lot of information about your kids — from class rosters to sports practices, vaccinations to everything in between. Make sure you and your partner are both in the know about everything related to your kids’ lives by sharing this information using a Shared Notebook. For home improvement projects: You’re already keeping track of kitchen cabinets, wood finishes, and vendor contact info in your Evernote. Put it all in a Shared Notebook and save yourself all those back and forth emails. For staying in touch over long distances: Capture all of the things that happen to you over the course of your day and drop it in a Shared Notebook to shorten the distance between you. via 8 Great Ways Couples Can Use Evernote Shared Notebooks « Evernote Blogcast. If you have any other ideas on how Evernote could be used, leave a comment. Thanks. This entry was posted on Friday, February 10th, 2012 at 8:26 am	and tagged with assignment, clipping, collaboration, documents, Evernote, Lake Michigan College, projects, self publishing, Shared resource, sharing, Social media, Students, Time management, Tools, WEB 2.0 and posted in Connecting, Organizing, Tip / Tools. You can follow any responses to this entry through the RSS 2.0 feed.